Do endorsements matter? Many, myself included, argue that the most important aspect of an endorsement is as a signaling event. A known entity gives an endorsement signaling to others which side of the fence is going which way. 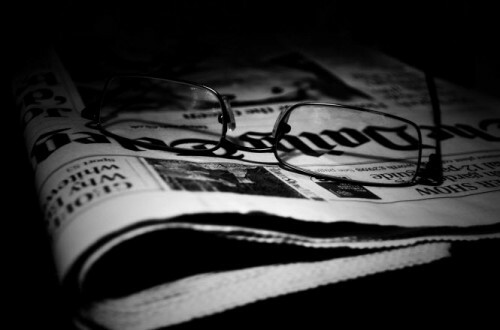 Newspaper endorsements have been studied, and there is some evidence in empirical work that the editorial decision of a newspaper bleeds, albeit slightly, onto the news page (whereas in theory, the two are to be fire walled – separate and distinct). In a small town like Davis, the endorsement of the daily newspaper becomes part of the campaign narrative. I’m not convinced it is all that meaningful, except that the newspaper has tended to support new development and has generally been more favorable toward new housing projects than the voting population as a whole. So when the Enterprise endorsed Measure A, the Nishi Gateway project, it was probably not seen as a game changer. However, the developers were quick to trumpet the endorsement. “The Enterprise has been covering Davis community concerns for over a century,” said Tim Ruff, managing partner for the Nishi Gateway Innovation Center. “There are few in this town who are more versed in community needs and who understand Davis culture better than those who work at the Enterprise. We’re proud that the Enterprise has acknowledged that Measure A aligns with Davis values, and we’re excited to have their support. This is a point that goes beyond Nishi, that the paper needs to hammer home time and time again. They argue that Nishi Gateway is the solution to those problems – or at least a solution. I don’t know that I would agree that Nishi “gives us the only chance” of fixing the Olive Drive-Richards Blvd. intersection. There may be other ways. What we do know is that the developers are paying $23 million (see yesterday’s comments that only that is allocated), which we would struggle to get otherwise. I don’t know that it fixes the intersection, but it certainly gives us a chance to fix the intersection. This is a strong argument by the Enterprise. The opposition would be well-advised to lay out how we solve housing and jobs needs without this project. It is pretty clear that a no vote will not take us back to the drawing board, it will end the development of a site, right next to the university and downtown, for two decades at least, maybe longer. If the downsides of this project necessitate that, then we need another path forward. So far, I haven’t seen one offered by the opposition. This is correct. Measure R forecloses the possibility of coming back with an amended proposal in any non-geologic time frame. “The opposition would be well-advised to lay out how we solve housing and jobs needs without this project. It is pretty clear that a no vote will not take us back to the drawing board, it will end the development of a site, right next to the university and downtown, for two decades at least, maybe longer. This was actually a pretty well done editorial by the Enterprise – half the time they are lame. Yes, indeed, it’s a very slick, though very faulty, editorial. Unrelated to the merits of Nishi, an endorsement by the Enterprise, of any person or ballot measure, is as persuasive to me as a hobo in an open box car commanding the train to go forward. Oink! Who are the powers that be and what do they want? It is pretty clear that a no vote will not take us back to the drawing board, it will end the development of a site, right next to the university and downtown, for two decades at least, maybe longer. David – You have absolutely no evidence to substantiate that statement. It is entirely conjecture on your part…exactly the kind of alarmist conjecture prattled off by the Enterprise and the Developer…”If we don’t do this deal right now, it will NEVER get done” Oh yea…and the sky is falling! The Vanguard is getting perilously close to just being a water boy for the Enterprise and Ruff on this issue and certainly not objectively weighing and reporting the on the issue as is its normal custom. Oops…they forgot to mention that Davis has another crushing problem…uncontrolled expenditures. It is always the same story for government agencies…”give us more money, give us more money..trust us to spend it wisely“. Where is the vaunted city -wide, top-to-bottom analysis of the City’s cost structure that the Finance and Budget Commission claimed we needed before any new taxes could be explored. Should we not also take that approach before approving any new giant developments in town particularly since the projected revenues are so sketchy and skating on pretty thin ice and the potential traffic impacts are so severe? I don’t know that I would agree that Nishi “gives us the only chance” of fixing the Olive Drive-Richards Blvd. intersection….What we do know is that the developers are paying $23 million. …this is not a privately financed project. It is a publicly subsidized project because the City has waived in-lieu affordability fees to the tune of $11,550,000 and rebated $1,750,000 in traffic impact fees. These amounts almost exactly match the costs the developer will pay for the tunnels to the University and the bridge over the bike path to West Olive Dr. So of the $23,000,000 in infrastructure costs the developer is supposedly paying, the City is functionally putting up over half of that money! There has never ever been a give-away of that magnitude to any other developer in town. And in terms of units that are “small …and student appropriate housing“, 60% of the apartments at Nishi will be OVER 1,100 sq, ft and 67% of the condos are OVER 1,150 sq. ft. An independent analysis paid for jointly by the developer and the City projected rents at $2.20/sq. ft. So the 1,100 sq. ft 2-bedroom, 2-bath apt will rent for over $2,400/month. So much for small size and affordability. Let’s face it, this is luxury-sized and priced housing, pure and simple. It is designed for rich foreign and out of state students like at West Villages. Well, that is OK if that is what the voters decide. But I sure don’t think the City should be subsidizing multi-millionaire developers with monies that could otherwise repair our streets or go into our affordable housing trust fund. That isn’t free-enterprise. That is local cronyism in its worst form. If you think the give-aways at the Cannery were excessive and left us with a unattractive project that is unaffordable to local buyers, that is what is coming at us in spades with the Nishi project. Except you get to add in air quality 2 to 5 times worse than regional averages which makes it particularly unsuitable for living by children, expectant mothers, and seniors. And if you look at some of the glossy renderings and writings in the Nishi advertisements, families and seniors are exactly who they are targeting for their for-sale condos. And don’t forget that the traffic though Richards will get far, far worse in spite of the flawed, thumb-on-the-scale traffic analysis the City and developer bought. Promoters of Nishi like to say thay all of the students living there will be able to walk and bike to school or downtown. Probably true. But almost all students in town currently either bike or take Unitrans to UCD so Nishi is not that unique in that way or a huge game-changer. But what about the 1,600 people who are supposedly going to get jobs in the 325,000 sq ft of R&D space. Are they going to magically teleport in from out of town? Of course, not. They will be driving in and out multiple times a day further congesting pinch-pointed access roads that will be overwhelmed on day one of the project. > You have absolutely no evidence to substantiate that statement. Do you have any evidence to substantiate that they will be back with a new project in a year (or even in the next decade)? Since Tandem also owns Covell Village and on one is talking about a new vote on that site any time soon I think David’s statement is dead on. First, thank you AP for demonstrating your complete biased opposition to the Nishi project for all the reasons that a standard-issue Davis no-growther demonstrates. Oops…they forgot to mention that Davis has another crushing problem…uncontrolled expenditures. It is always the same story for government agencies…”give us more money, give us more money..trust us to spend it wisely“. Here is something that both of us agree with. Too bad the Davis no-growers didn’t make a big stink about the last pay increase the CC gave to about 2/3 of the city employees. Hearing from various CC members they explained that it was only the Vanguard Ten that opposed it… most of the rest of the town let them know they supported the pay increase. Can I get access to your email server to see if you were one of those people? Mr. Pryor continues to willfully sow confusion, make vague accusations, and mislead. Nishi is the product of eight years of planning between the property owners, the City, UC Davis, and hundreds of other stakeholders. If it is voted down, they are not going to go back to renegotiation. This is a complete fantasy and fallacy the opposition continues to cling to in order to justify their opposition. If there is always a possibility of negotiating a better deal, then it makes sense to keep demanding more and more. Let’s be real, this is it. It is time to decide. This project is the result of years of planning, studies, and consensus building while having to mindful of fiscal and political realities. As the Enterprise and hundreds of other Davis businesses, elected officials (it was unanimously endorsed by every sitting Councilmember), and residents who have endorsed this project understand, Nishi helps address some of the most pressing problems currently confronting Davis (student housing, generating organic revenue, creating jobs to capture the tech transfer from the university, and helping maintain the amenities that define the Davis quality of life, etc.). So far, the opposition has failed to propose any solutions beyond “raise taxes” and “cut costs.” I find this particularly ironic given their alleged concern for those living in Davis with lesser means. Raising property taxes and cutting city services hurts those with the least the most. But instead of attempting to address the deficiencies of their arguments, the opposition just continues to scream “No” ever louder and toss out increasingly outlandish accusations. For example, people like Mr. Pryor have been reiterating the same claim about an affordable housing ‘give-away’ with zealous fervor for a while now even though Councilmember Robb Davis clearly explained why this is incorrect. Here’s the link for anyone looking for a refresher: https://www.davisvanguard.org/2016/04/guest-commentary-city-not-violate-affordable-housing-requirements-nishi/ Nishi is exempt from the City’s Affordable Housing requirement as part of the municipal code because it is vertical mixed use in design. Here is the link to the City’s Municipal Code for those who are interested: http://qcode.us/codes/davis/view.php?topic=18-18_05-18_05_080&frames=off The developers are not being exempted from traffic impact fees; it was decided that this money would go towards building the bridge connecting Nishi to Olive Drive such that bicyclists traveling along the Davis Bike Loop will be able to remain completely separated from any motor vehicles. This was a decision by the City Council to prioritize an upgrade for the Davis Bike Loop in lieu of spending that money elsewhere. There is no give-away, but I suspect Mr. Pryor and the opposition already know that. Mr. Pryor and others also continue to crow that “an independent analysis” shows rents to be $2400 per month, but have failed to acknowledge the fact that this analysis was done without any consultation with the property owners as to what they actually anticipated the rents to be. The truth is that the property owners expect the rental units to rent at market rate (they estimate between $1500 and $1800 per month). This can be split between four students because, as Mr. Pryor himself acknowledges, there is ample space. In fact, these apartments are going to be comparable in cost to housing on campus, but will be slightly larger. Mr. Pryor and other members of the opposition do not seem to acknowledge the fact that Nishi will invest $23 million into improving Davis’ infrastructure (building another route to campus that will allow drivers to avoid Richards which will help ease congestion for those traveling from South Davis or I-80 towards downtown, expanding and improving the Davis Bike Loop, contributing $3 million to the redesign of Richards, and expanding and improving access to South Davis for UniTrans and emergency services all seem like improvements to Davis’ infrastructure to me, but somehow Mr. Pryor rejects this). Nishi will create desperately-needed student housing in a location where 80% of trips taken from the residential component will be by biking or walking (remember that UC Davis said an additional 9,000 students and staff will be added in the next five years). Nishi will also add $1 million dollars to the City’s Affordable Housing Fund. Without Nishi, the City will receive none of that money for infrastructure, will see rents go up even faster than they already are–5% annually, a staggering figure, and will receive no money for the Affordable Housing Fund. Maybe opponents of Nishi feel like they are fighting for affordability, but if they are successful, their actions will have the opposite effect. Air quality will be mitigated to be less than significant as a result of the extensive efforts the property owners are legally required to fulfill in order for the project to be realized. These include planting a dense urban forest between I-80 and the property’s buildings, situating the residential units at the far end of the property from I-80, and installing state-of-the-art air filtration systems. There simply are no facts to support any of Mr. Pryor’s assertions, although he and other members of the opposition are happy to spread hysteria about a risk that just isn’t real. Mr. Pryor’s statement that traffic at Richards will get worse is simply not supported by the facts or any demonstrable evidence of any kind. In fact, the experts at Fehr and Peers have concluded that with the extensive traffic mitigation the property owners are legally bound to complete before there can be any construction at Nishi as part of the project baseline features will reduce the traffic impacts to less than significant. What’s more, as the Davis Enterprise highlighted in their endorsement, Nishi will create a way for people traveling to campus to bypass the Richards tunnel which will help people traveling from South Davis going downtown avoid so much congestion. One of the problems the Davis City Council is trying to address is the jobs imbalance that exists in Davis–specifically that there aren’t enough private-sector jobs in Davis that will the city to benefit from the research being conducted at the university. In fact, this was one of the main reasons why the City decided to look into creating innovation parks. Creating jobs that will be knowledge-based and leveraging the work being done at UC Davis provides options for people living in Davis who currently commute to work in Sacramento and the Bay Area because of the shortage of exactly these types of jobs. What’s more, these jobs will allow more people graduating from Davis to stay in Davis. I am unclear as to what Mr. Pryor envisions for Davis. No more jobs and no more people? First, so the developer stating so is not substantiation? You really believe that the developer is going to throw more millions into this process when the outcome is so uncertain? I think it’s an entirely reasonable argument by Ruff, Enterprise, and the Vanguard and I think you’re attack is quite unfair. air quality 2 to 5 times worse than regional averages which makes it particularly unsuitable for living by children, expectant mothers, and seniors. Yeah… so if activity as a golfer gives you a one in a million chance of being struck by lightning on a given day, and if it 5 times more likely (one in 200,000 chance) with ‘climate change’, do you give up golf? This is actually a pretty good analogy, although I think the odds are actually lower than that on health effects. Alan, are you against all economic development? • Make it affordable for students. • No access from Olive. If the development caters only to students and UCD employees, then why do they need access from Olive? • More open space. 20 acres is pittance. • Build the underpass for access to UCD paid by the developer. By eliminating access to Olive, you actually make the problem on Richards worse not better. The rest of this is a non-starter, so what you’re really saying is you oppose Nishi. How is it worse, not better? I think you mean it will remain the same. Also, aren’t we trying to encourage people to walk and bicycle? I thought that was one of the main selling points of Nishi. There are only 13 LEED Platinum buildings in the world because of how expensive it is to achieve that. This drives up costs. You cannot be for affordability and for LEED Platinum. They are on opposite ends of the balance scale, and trade-offs must be made if you want more of one or the other. As it currently stands, however, Nishi will still be renting at market-rate ($1500-1800 per month) while achieving a Platinum Rating for Neighborhood Design and pursuing a Gold minimum or its equivalent. The project also includes 325,000 square feet of R&D space which you seem to forget. That is why it is an innovation park in the first place. 20 acres would make the land at Nishi the largest public park in Davis. It also represents half of the total property. That is not a pittance. The underpass creating access to UCD is going to be paid for entirely by the property owners. Shouldn’t UCD be paying 50% of the cost of creating the underpass? It is arguable that UCD is benefiting from the access just as much as the developer and City are. wellllllllll Duhhhhhhh and who cares……more after meetings today…jeez…. You are aware that was nothing but a string of words with no reference to what you are referring to and no actually meaning and vague reference to something you were doing today. I cannot be the only one wondering why??? I find it interesting that the Vanguard seems to be putting some “credit” to the the Enterprise, which the Vanguard has often criticized, but looks like not this time. I can not recall any time that the Enterprise has opposed a project, so it is no surprise and completely expected that they will support this any any other project that comes forward in Davis. It is what it is, so why the attempt by the Vanguard to magnify the endorsement by the Enterprise? Maybe this is the prelude for the Vanguard to follow suit too with the Enterprise since given the imbalance in the Vanguard articles on Nishi (leaning towards so often) that seems to be where this is headed. I am not certain how you think anyone opposing Nishi has been silent on the issues you have raised. These issues have been raised and responded to numerous times. Nishi will not help solve the fiscal problems, it will bring on more costs. Nishi will not solve the housing shortage being directly caused by UCD, it would only be a “drop in the bucket” and it just enables UCD to keep deferring their responsibility to provide the housing for their own growth onto our community. At least 13,000 more students coming. And any housing it would bring, would be unaffordable. Nishi will certainly NOT solve the Richard traffic and congestion problem, it will make it worse. Nishi would only provide 325,000 sq. ft. of R and D which can EASILY be provided within our City now on land zoned for R and D.
So the bottom line is that you don’t solve problems, by bringing in more problems. Nishi just brings the City more problems. The City Finance and Budget Committee agreed the project could generate up to $1.4 million in revenue annually for the City, even the conservative estimate but it at half a million annually. But why fixate on this estimate when Nishi delivers so much more to the City? $400k annually for DJSUD, $190k annually for Los Rios Community College District, $23 million invested in improving Davis’ infrastructure, $1 million for the City’s Affordable Housing Fund, $9 million in one-time fees paid by the property owners, $110k annually for the County Office of Education, $126 annually for the Solano County Water Agency, and other miscellaneous revenue streams all are benefits Nishi delivers to the community. To claim it does not help solve fiscal problems is just dead wrong. I am confounded how you can recognize that their is going to be a large increase in the student population here in Davis and then criticize Nishi as being “a drop in the bucket.” Nishi helps create a solution. Holding out for a magic solution isn’t going to happen. According to the experts at Fehr and Peers, the traffic mitigation legally required to be undertaken by the property owners before there can be any construction at Nishi, traffic impacts will be less than significant. Your assertion is not supported by any facts or demonstrable evidence. Nishi was identified as a key site in the Studio 30 report commissioned by the City to look at creating innovation parks. Its location makes it an ideal incubator for tech transfer from campus. Dismissing this report, and the many experts whose work and ideas went into shaping Nishi into what it is today does a real disservice to city planning if laypeople refuse to acknowledge or accept the recommendations of experts. According to the experts at Fehr and Peers, the traffic mitigation legally required to be undertaken by the property owners before there can be any construction at Nishi, traffic impacts will be less than significant. Have the “experts at Fehr and Peers” looked at the traffic problems that will occur north of the railroad track on Old Davis Road when a significant amount of traffic is re-routed that way? I have seen nothing to indicate that any thought has been given to the traffic and congestion problems that will occur at the intersection of the new underpass road and Old Davis Road as well as along Old Davis Road. 1. Davis tech businesses desperately need additional R&D space in very close proximity to the university. I know, because I work for a tech company and discuss this with our industry and university partners almost every day. Aside from the space that Sierra Energy is working to provide at Area 52 (Research Park Drive in South Davis, right off the Arboretum/Putah Creek bike path), the Davis Roots facility in downtown (nonprofit operated, but building owned by the City), and some very small spaces/parcels in Downtown, there is very little other opportunity for companies that need 10,000 to 50,000 square feet of R&D labs and offices. There are very few places to redevelop (convert existing buildings), and I can count the parcels appropriate (zoned) for small, new R&D buildings on my fingers. 2. The Nishi Gateway project is a compact, high-density use of land, with walkable and bike-able connections to the university and downtown. Isn’t this what we are trying to achieve as good land use policy that supports sustainability? By putting people closer to the things they want (shopping, eating, and mass transit) we decrease the desire to get into a car. How do I know this? I live across the river from Old Sac, and I walk and bike to most things that I do, which are within 2 miles of my home. 3. Stating that cars and traffic will be created from more people in a small area is far more of a scare tactic than a reality. Sure, when commuters are trying to get into and out of Davis, there will be traffic. There already is… Anyone driven First Street during the 8 to 9 am or 4 to 5 pm rush hour? It is packed, already! And much of the traffic comes from UC Davis buses, which will no longer have to use only this route to cross into South Davis. Regardless, wouldn’t people that support sustainability want to have as many people that work in the downtown or university core areas live near their place of employment? Right now, there are fewer than 15 homes for sale that are within the same distance from downtown as the Nishi Gateway project. The majority of these are $500,000 and up and more than 35% of them are over $1 million. If I wanted to move to Davis, since I work here and plan to for quite some time, I couldn’t even close to afford to live near my offices. 4. I live in West Sac (though I have worked in Davis for over 3 years). My home is 1/2-block from the main UP rail line, 1/2 –block from a major arterial that connects West Sacramento to Sacramento Downtown, 1-block from a major river crossing (I Street Bridge), and just across the Sacramento River from Interstate 5. Like many of my neighbors – and others throughout the region and state that live near major infrastructure – the “nuisance” posed by these facilities is primarily noise. This doesn’t bother me, and I don’t even hear these urban sounds anymore. It’s not for everyone, but you wouldn’t choose to live in these areas if noise was an issue for you personally. In fact, you wouldn’t choose to live in any location near freeways, major streets, or infrastructure if constant sounds bothered you. But many of us like urban settings and the amenities that they provide. Traffic sounds, rail sounds, neighborhood sound… these are not issues when you chose this environment. 5. The argument about environmental issues from major roadways/transportation routes is more a matter of point of view than science. I worked in the environmental engineering field for over 13 years, investigating many air quality issues. Since the banning of leaded gasolines, air quality impacts from tailpipe emissions on roadways is not nearly the impact than some would like to have you believe. I am not saying it is zero, but it is less than the indoor emissions many are exposed to at work and home. And it is certainly less impactful than the air emissions from agricultural processes like pesticide spraying and tilling (again, particulate matter), of which Davis is surrounded… especially upwind to the west. Living next to farms, with constant afternoon winds, there is a large exposure to dust and particulate matter, which is typically far more harmful to health than the minute concentrations of chemicals from tailpipe exhaust. Again, not saying it’s non-existent, just pointing out that making the argument about emissions from Interstate 80 without also actively addressing the variety of unmitigated air quality issues already in our daily lives seems somewhat disingenuous. 6. By having an employment center close to downtown, we will create additional customers for the shops, restaurants, grocery stores, etc. These retail establishments require regular visits from people throughout the day, and increases in these visits creates a stronger bottom line. Which creates additional retail taxes being collected, better wages for employees (both base and tips), and opportunities for shop owners to reinvest in the community by supporting youth sports, nonprofits, the arts, and other philanthropic activities. 7. Though a lot of focus is made on the improvements to the interchange of Richards Boulevard, Olive Drive, and Interstate 80, what is particularly intriguing about the Nishi Gateway Innovation Center is that another easy access point (both in time and flow of traffic) will be the UC Davis exit just east of 113, a relatively underutilized piece of infrastructure. This will help to serve not only the residence, who will want to park and get out of their car as fast as possible so they can enjoy the walkability of the place they have chosen to live, but also companies and researchers who will be at the Nishi Gateway Innovation Center. How do I know? Well, our offices are at the First Street and Old Davis Road intersection. I park once, leaving my car where it is for the rest of the day, walking to my meetings, the university, or even our research facility in South Davis. In fact, most of our employees do. Add a bike to the trip, and now I can be pretty much anywhere my work needs require in the central Davis area. And I am not alone, as most of our employees do the same thing. So yes, people will park once and walk most of the time. 8. Lastly, people want different living spaces. Not everyone wants a back (or front) yard, the maintenance of painting, keeping up landscaping, nor the time involved for chores that come from exterior home care. Some people also want to live in smaller indoor spaces, cutting down on interior chores and upkeep. These are also living choices that promote and increase sustainability. Less energy to heat/cool. Less furniture to fill underutilized spaces. Less resources used to build those spaces to begin with. I know, because I live in a 13-year old compact, urban neighborhood. My home is a 1,450 square foot, two-story, single family home, on 0.04 acres (that’s 1,800 square feet of land), with a small patio backyard, a common area front yard, in a neighborhood with densities of 20-25 units to the acre. I live VERY close to my neighbors, but I also believe in smaller living spaces that promote sustainability, wise use of land, and walkability. I chose this, but would never force others to live there. And I am not alone. The majority of Millennials also choose small living spaces over large homes and are more likely to rent than to buy. They typically prefer urban environments, with walkability and downtown amenities being more preferable than large, fenced backyards or 1,000s of square feet of wasted spaces on rooms they will rarely use. My company has greater than 65% of employs that are under the age of 45, with most of those being Millennials. Many of them got their degree at UC Davis, but now live in Sacramento midtown because they want urban/downtown amenities, which Davis doesn’t provide. And it is these very people, working at a Davis-based tech company and graduates of the university, that the Nishi Gateway project will appeal to and retain. Thanks Rob White. Miss your common sense posting on this topic. Just wondering if you’ve communicated with the “Yes on A” campaign. Ms. Samitz, please meet Mr. Pryor. Mr. Pryor, please meet Ms. Samitz. Ms. Samitz is opposed to the Nishi project and wants to take out all of the housing. Mr. Pryor wants to change the Nishi project to take out all the economic development components and fill the land full of housing. I propose a compromise: vote for Measure A, and you both get half of what you want. What could be fairer than that? If I can ever mediate any more of your disputes, please let me know. The huge internal differences among the No on A folks makes for just as interesting a debate as the one scheduled for tonight, in my book. I propose a compromise: vote for Measure A, and you both get half of what you want. This assumes that “what they want” is really known and transparent. Maybe, but I don’t think so. My point was that most of the people pushing hard with their justification for opposing Nishi are people just opposed to all growth and change… so there isn’t really any compromise that would make them happy to support the project. I think Frankly completely understood my point. Dan: I think Frankly completely understood my point. To clarify, are you stating that a “slow-growth” position is somehow not legitimate, and/or that those who hold such positions are “hiding” their motivation? Or, are you simply acknowledging that concerns regarding the Nishi proposal are varied, and that there is not necessarily a single, monolithic response regarding concerns with Nishi? If you truly question the motivations of those with “slow-growth” views (and cannot fathom a reason to hold such views), can you legitimately claim to provide objective analyses as a member of the finance and budget commission? Ron… how long was the training you apparently received to be passive-aggressive? Asking pointed questions rather than making statements? Is it just me? Not really seeing it, here. Just responding to others’ messages. In general though, I’ve realized that there are often “conclusions/assumptions” embedded in (everyone’s) responses. And, that those conclusions/assumptions should (sometimes) be brought to light. Also, I’ve also seen a lot of comments lately, attacking the motivations and character of those who have (what I describe as) “slow-growth” views (e.g., similar to my views). I see it as an attempt to “de-legitimize” such views. Meet the Nishi project which before the voters on the June ballot, which is a disaster. 1) Nishi would bring more traffic and grid-lock to the already congested Richards corridor and underpass. 2) The EIR clarifies that traffic situation gets worse even with the “improvements”. 3) The Nishi project brings costs to the City. 4) Nishi has no affordable housing. 5) Nishi housing would expose residents to hazardous air quality conditions. 6) The Baseline Project Features are inadequate and do not assure the developer “promises”. 7) The developers get to keep a land use change from ag to urban if Measure A passes, more than doubling the land use value, yet no project may emerge. What is important here is that the Nishi project before the voters is a terrible project, and will bring more impacts, costs, and problems to the City, not solutions. THAT is the issue, and that is why so many are opposing it. Meet the Nishi project which is before the voters on the June ballot, which is a disaster. I would support a new parcel tax instead of the NISHI>>…to get the needed underpass and to make it easier for bicyclists and pedestrians to make it over to campus. And a vehicle underpass also…. I might even support some VERY small TECH development as far from the freeway as possible…. but, it is NOT a location for residents to live and enjoy outdoor space nor to hang out nor bicycle regularly……. This highlights another problem with Measure R. No project will ever satisfy every whim of the electorate.